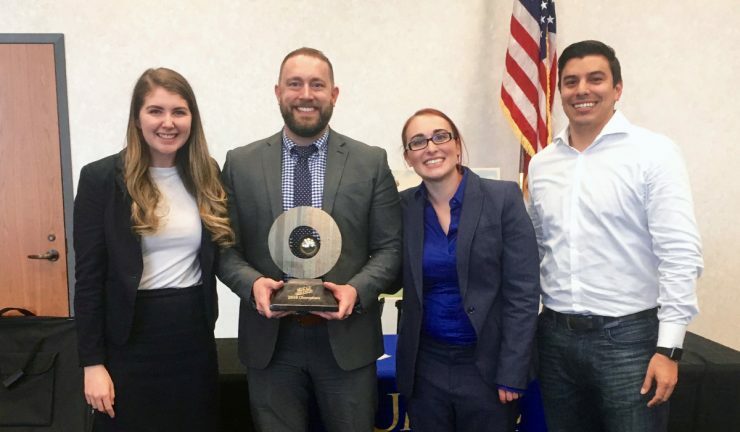 Prepared to Meet Courtoom Challenges Chapman University’s Dale E. Fowler School of Law is on such a winning streak, it just might have to add another trophy case or two before long. As it marked the Commencement of its 20th graduating class, the law school received three new honors, including news that its student competition teams placed in the top tier of the first national American Bar Association Competition Championship. In addition, this spring, student teams won the Tulane Professional Football Negotiation Competition and the Show Me Challenge, a competition in which the students get to practice jury selection and opening-statement skills. The competition successes arrive alongside news of Fowler Law’s high rankings issued by PreLaw Magazine, which recently awarded the school an A grade for practical training. PreLaw ranked the school 23rd nationally for practical training. Such recognition is testament to the swift growth of the school and the caliber of its students, alumni and faculty, says Dean Matt Parlow. “It’s impressive to see how far this great law school has come in such a short period of time. The success of our alumni and the most recent recognition by the ABA and PreLaw Magazine demonstrate our exciting upward trajectory,” Parlow says. In the ABA Competition Championship, Fowler Law placed seventh in a field that included more than 1,300 students from 156 law schools. The win is based on cumulative scores earned in the ABA’s four practical-skills competitions, including Negotiation, Client Counseling, Arbitration and an Appellate Advocacy Competition. Display image at top/From left, Caitlin Harrington (JD ’18), Rick Reneer Jr. (JD ’18), Caitlin Ramsey (JD ’18) and alumni coach Clay-Michael O’Neal (JD ’10) show off their championship trophy at the national Show Me Challenge, a competition in which law students practice jury selection and opening-statement skills.